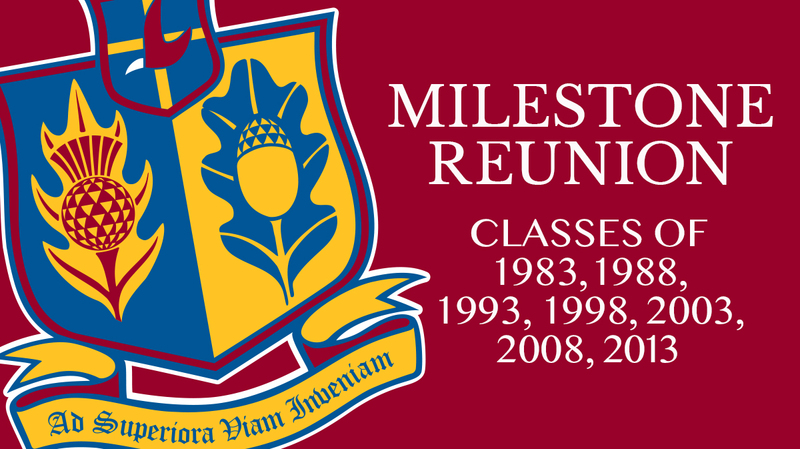 Our Milestone Reunion will this year celebrates the classes of 2013, 2008, 2003, 1998, 1993, 1988, & 1983. This is a fantastic opportunity to catch up with your peer year and stay connected to the College. Come along for a drink on us and catch up with your peer year. Some groups have also organised to go on for dinner afterwards and even a whole weekend of catch up events! College tour starts at 4.30pm.